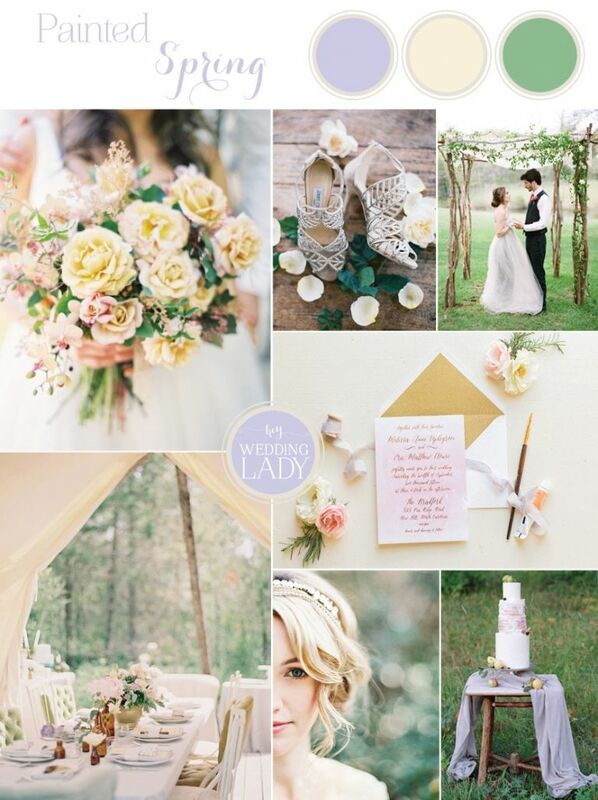 Pastels were meant for spring, and today’s watercolor spring wedding palette is a sweet take on a seasonal classic! 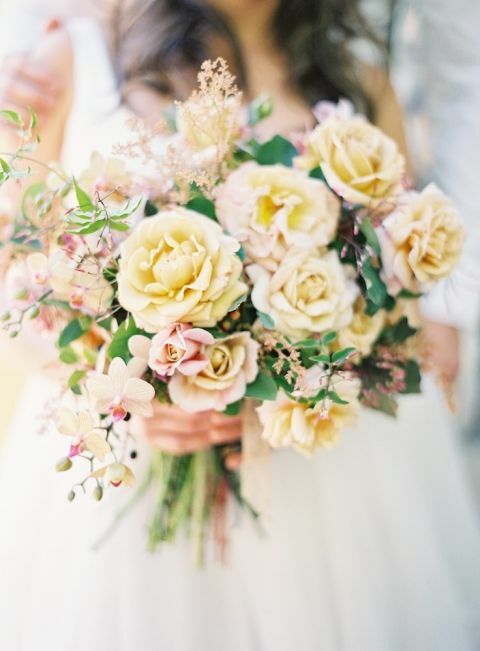 A delicate combination of lilac and sunshine yellow in wildflower hues is the perfect choice for a romantic countryside wedding. 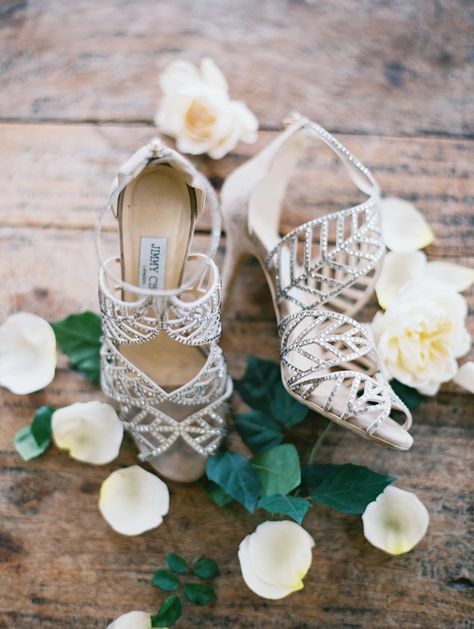 Since the soft, rainwashed hues are a gorgeous complement to the beauty of nature, this palette is a perfect fit for a romantic, countryside elopement. 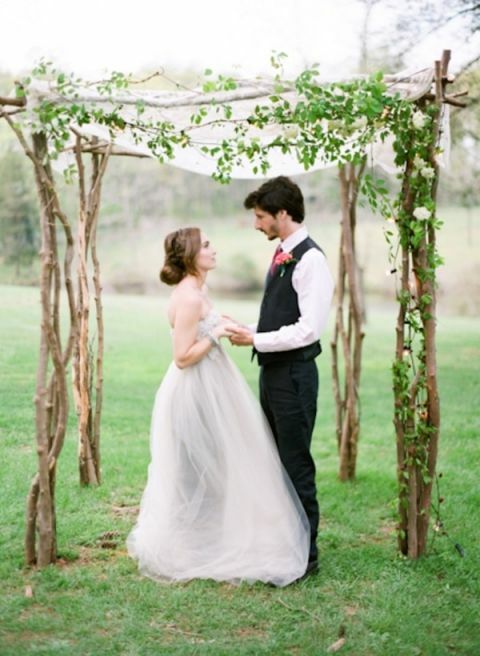 A mountain vista or open meadow is ideal for a simple, natural ceremony arbor of branches and flowing greenery. Soft, loosely-tied florals in delicate pastel colors capture the same sense of pastoral elegance.